Back in 1999, with a new millennium dawning, husband and wife team Derek and Jean McCulloch set about realising their own millennial dream. They wanted to bring the cosmopolitan luxury of an exclusive urban health spa to the majestic mountain and river landscape of Royal Deeside. 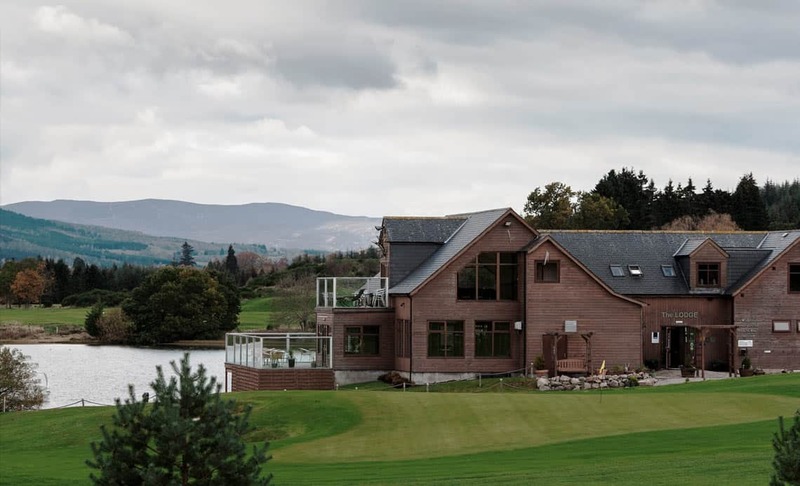 Beginning with a purpose built lodge beside the Loch of Aboyne, The Lodge on the Loch Spa Retreat has subsequently developed to encompass thirty-five acres of pine woodland with its own golf course and magnificent loch-side terrace. Over the years many thousands of guests have shared and enjoyed Derek and Jean’s dream, and today ‘The Lodge’ is rightfully considered amongst the premier Scottish Highlands spa retreats. Then there is the Ceud Mile Failte: the hundred thousand welcomes that await you at ‘The Lodge’. This is a family-run business that’s small enough to be attentive to our guest’s differing needs, and Derek and Jean take a personal pride in offering a service that is friendly, knowledgeable and totally professional. What’s more, ‘The Lodge’ has been carefully designed to ensure that the vast majority of our services and facilities are accessible to people of all physical abilities, including wheelchair users. We are an eco-friendly business too. We have a Gold Award from the Green Tourist Scheme, and with ‘The Lodge’ being located on a ‘Special Site of Scientific Interest’, we think it is especially important that everything we do is in harmony with the unique and beautiful fauna and flora that surrounds us. So contact us now and let’s start a conversation about your perfect stay at The Lodge on the Loch Spa Retreat. Watch our video and explore the 3D walkthrough. Below is a brief video introducing The Lodge on the Loch Spa Retreat that we filmed in 2011. You can also follow this link to try our 3D walkthrough. You will need Flash player on your computer or mobile device so if its not already installed you will be prompted to install it. Please follow the onscreen instructions.